It’s that time of year when organizations are thinking about what they are going to do for their Halloween parties. These parties can be great for team building and morale, but the thought of someone dressing inappropriately sends a cringe up the spine of most managers and human resource professionals. So, what to do—do you play it safe as an organization and draw a hard line on not having a party? Or, do you let it all just flow and hope no one crosses the line (fingers crossed)? We as a company have decided that we are going to have this party to celebrate Halloween. We don’t want to assume, however, that everyone feels the same way about this type of party. Please know that everyone is welcome to come in or out of costume. 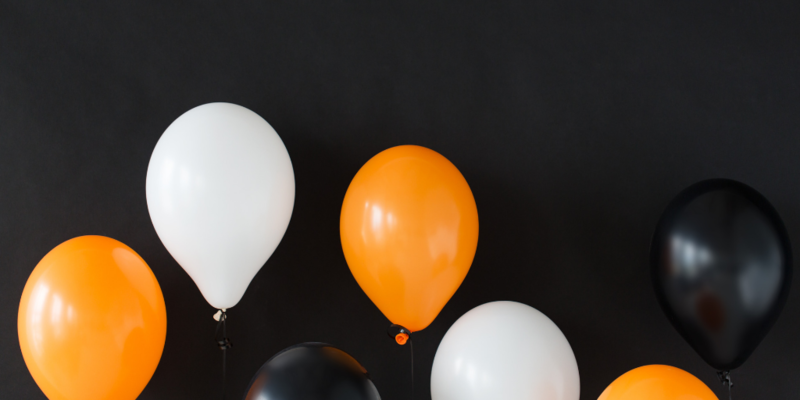 If you decide to have an office celebration, having some basic common sense rules will go a long way to making the event fun and inclusive of everyone in the organization. Additionally, messaging those rules will help clarify to everyone how to participate inclusively. 1. Have some guidelines on appropriate dress. Suggest that there are some no-nos for appropriate costumes and mention specifics. A quick company memo can not only announce the party, but also offer some guidelines. Popsugar.com has a great article on 35 Work-Appropriate Halloween Costumes that Keep It Classy. 2. If you offer prizes for costumes, ensure they are based on a fun set of parameters. For example, who can dress in the most appropriate food-themed costume (strawberries, apples, sushi are all popular). Or choose other parameters related to your company’s work or mission. Redirecting everyone’s creative energy towards something positive is often the most effective way to avoid controversy. 3. Determine if political costumes are off the table. For some organizations political masks and costumes could be inappropriate and offensive. But for other organizations, poking fun at political figures is tolerable. For several years, Nixon masks were all the rage. But every company culture is different, and you should make decisions that serve all employees. 4. Be a resource for the unsure. While many people would not be offended by seeing a person of color dressed as a white character, be it Superman or Betsy Ross, the same might not be true of a white person dressed as a person of color, whether historical or fictional. “There are deep-seated reasons for this, having to do with historical privilege and cultural appropriation,” says Eric Peterson, Senior Consultant. Encourage employees who are unsure whether their costume crosses a line to reach out to HR for guidance. It’s far easier to avert a disaster than clean up the mess afterwards. However your organization chooses to celebrate Halloween, remember that you want to emphasize that it should be appropriate and inclusive. Organizational culture is a tricky dynamic. Those who set the policies that govern a workplace should do so with a constant eye on its culture and a mindset that includes both risk and reward. If the risk outweighs the potential reward, that’s indeed something to consider. Christopher Morin is a Portfolio Lead with Cook Ross. Chris is passionate about helping people grow and learn. For the past 15 years, he has been in either a consulting or training role leading teams of project managers, subject matter experts, training content developers, curriculum designers, and eLearning specialists.